The White House Communications Agency audiotape collection contains more than 1,800 tapes of President Gerald R. Ford's speeches, news conferences, and other public statements, 1974-77 (see full list). 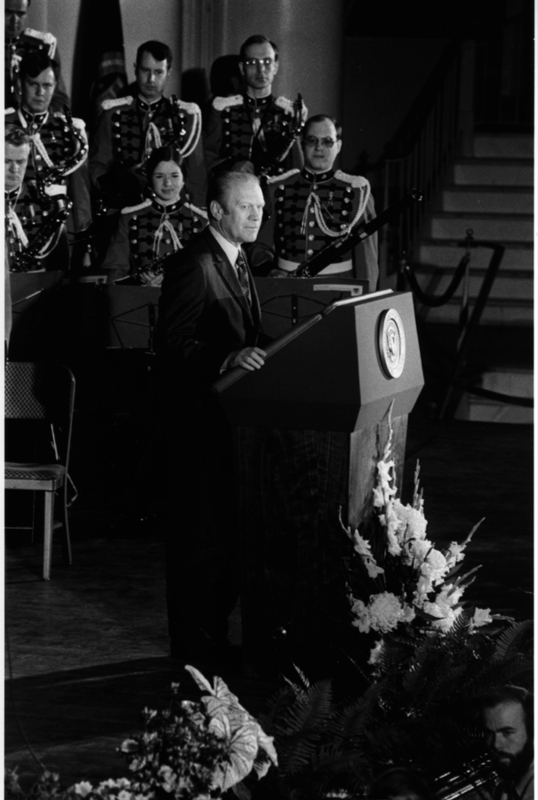 The staff has digitized a select group of recordings covering such events as President Ford's swearing-in ceremony, his appearance before the committee investigating the Nixon pardon, State of the Union addresses, press conferences, and television interviews. The recordings are available as both WAV and MP3 files. They are in the public domain so they have no copyright restrictions. Recordings have not been edited, so they sometimes commence with extraneous content.